Could the common household cleaning products that you use every day have the potential to increase your family’s obesity risk? The latest research says, yes, it can. Read on to learn more about what types of cleaning products are most to blame, as well as what steps you can take to reduce obesity risk. 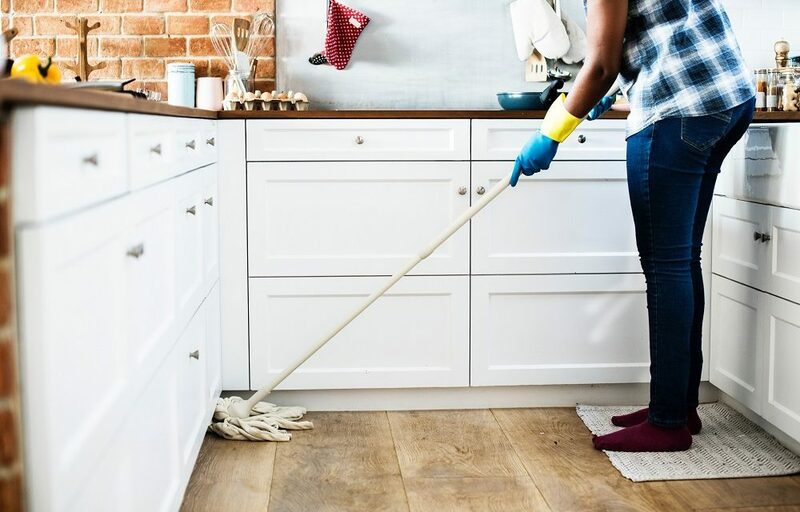 According to Science Daily, cleaning products that you use throughout your house can alter your children’s gut bacteria, and that can lead to a higher obesity risk. Who knew?! Here’s how the study went: experts took a look at the gut flora in 757 babies. First, they analyzed the flora from the babies when they were anywhere from 3 to 4 months old. Then, they checked their weight when they were 1 and 3 years old. The researchers also made it a point to look at what exposure the children had to detergents, disinfectants, and various eco-friendly cleaning products. After their analysis, experts found that altered gut bacteria among infants who were 3 to 4 months of age was the strongest when the children were frequently exposed to disinfectants at home. Those products included multi-surface cleaning agents, which could reduce levels of Clostridium and Haemophilus bacteria, while increasing levels of Lachnospiraceae. Put simply, when gut bacteria aren’t balanced properly, obesity risk increases. However, this association was not found when parents used eco-friendly cleaning agents or when they used detergents. If you wish to reduce your children’s obesity risk, stick with using eco-friendly products, as researchers found that infants who were living in homes that only used these types of cleaners were actually less likely to be diagnosed as overweight when they were toddlers. Experts also determined that infants in households that used disinfectant products at least weekly ended up being twice as likely to exhibit greater amounts of Lachnospiraceae. Then, when the children were 3 years old, it was found that their BMI was also greater than that of kids who weren’t exposed to a lot of disinfectants when they were babies. Keeping your children safe at home is important, but you may not realize the damage that can be done when you use conventional cleaning products. Sticking with natural and eco-friendly options is best for a variety of reasons, so why not give it a try? PreviousYou Can Control Pregnancy Weight Gain…if You Start Early!